Linux Mint 18.2 "Sonya" LTS have been released on Sunday 02 July 2017. This short review highlights its Cinnamon Edition (LMCE) by mentioning some interesting new stuffs, such as new things on Cinnamon 3.4, the arrival of Cinnamon Spices Portal, new 18.2 wallpapers, and new login screen settings. 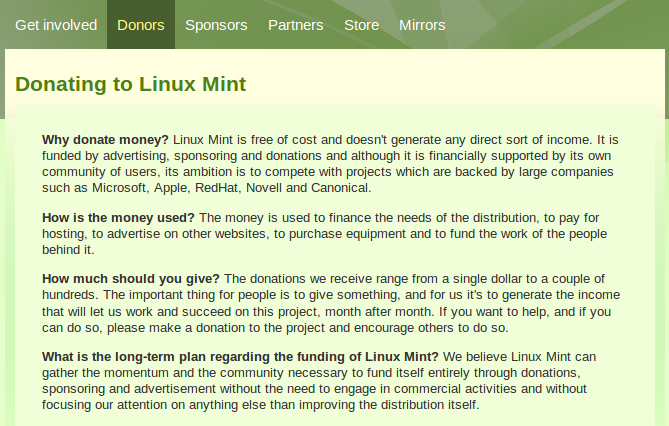 Below, you'll also find how to contribute to The Linux Mint Project. Have a nice day with LMCE 18.2! This is the desktop of Linux Mint Cinnamon Edition 18.2 "Sonya". It comes with a special set of 18.2's wallpapers. All 18.2 release editions including Cinnamon's are Long Term Support (LTS) releases derived from Ubuntu 16.04 LTS and will be supported for 5 years (you'll get security updates and fixes --at no cost-- until 2021). It's suitable for companies. These are default software installed on LMCE 18.2. It comes with replacements for Microsoft Office, Photoshop, and Adobe Reader for most users. 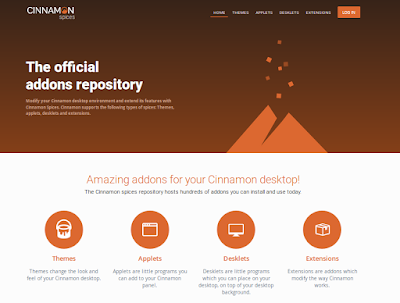 The Linux Mint Team established a new official Cinnamon themes & applets website at https://cinnamon-spices.linuxmint.com! 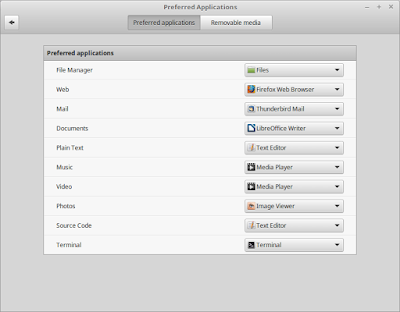 Now, you can find & download Cinnamon Spices (themes, applets, desklets, and extensions) from there. Sonya includes new set of wallpapers as 18.2, along with wallpapers of 18 and 18.1 built-in. My favorite for this release is Waterfall by Robert Lukeman depicted below. 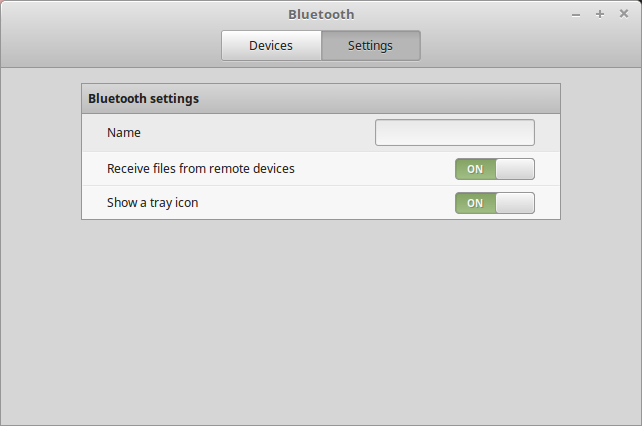 The new Blueberry program is a simple, user-friendly bluetooth manager. 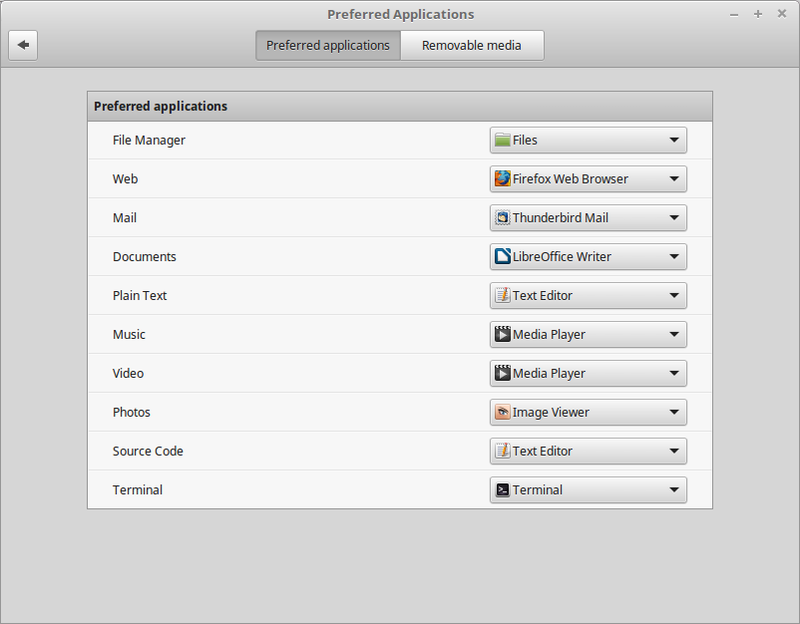 Do you know Linux Mint already has a domain blocker, a parental control app? 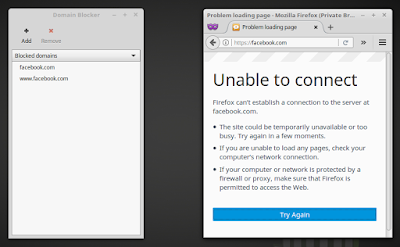 This feature helps you to block certain website addresses so your children wouldn't visit them (e.g. facebook, violences, porns, etc.). 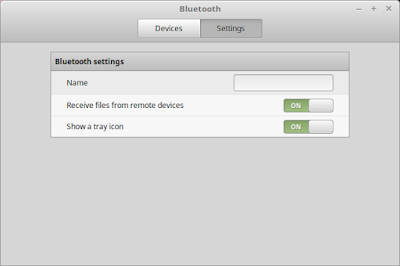 This is an old feature (2008) but less-known among modern users. It is Domain Blocker on menu, or MintNanny officially (command line: mintnanny). 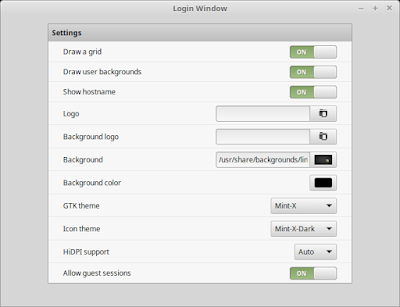 LMCE 18.2 adds a special settings for the login screen. 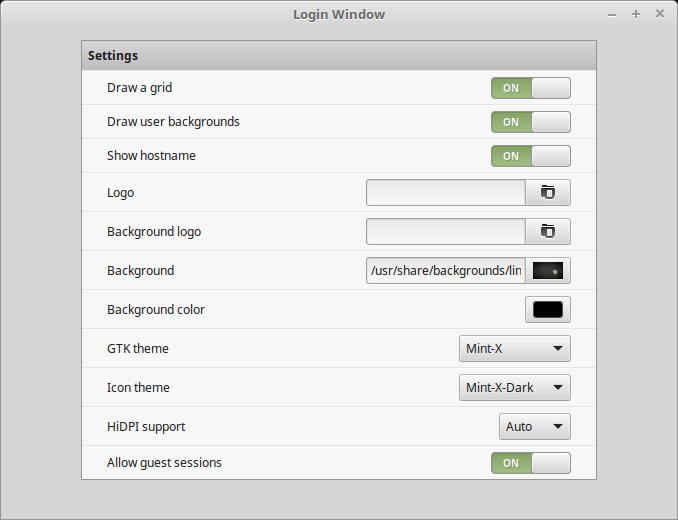 Now you can change it easily such as enabling Guest Login, changing logo & background, and enabling HiDPI support. 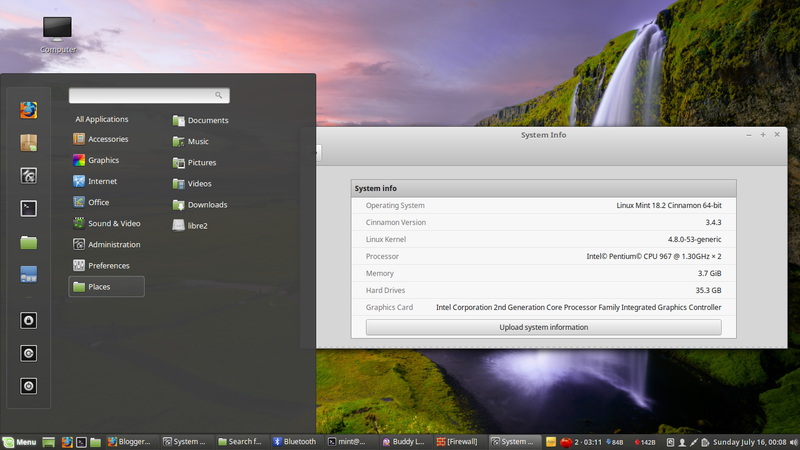 LMCE desktop is great with animations. 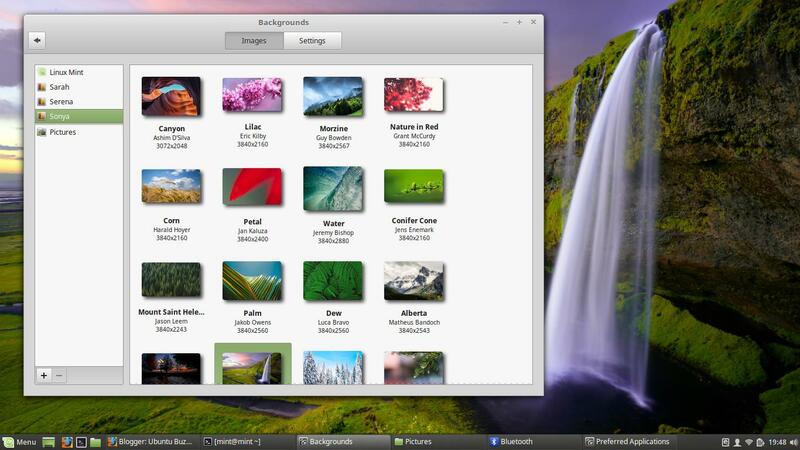 Try to use Alt+Tab with Cover Flow activated, you'll get a fancy app switcher (ala Windows Vista) like below. 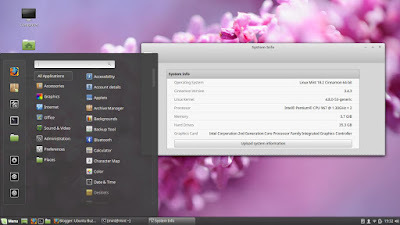 Sonya Cinnamon is very suitable for previously Windows users. 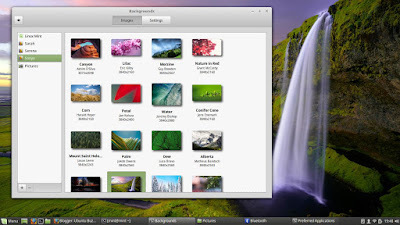 It helps people to have quick adaptation with many commonly & similarly features with Windows desktop, such as Preferred Applications setting below (in which you can change what app for what purpose), and also the whole of this short review. It's LTS worthy for long time usage, it has a new Cinnamon Spices website, with a ton of features. You can send a donation to help Mint developments or get involved in many other ways (including telling Mint to your friends!). At this time I write this article (15 July 2017), official page says "This month's donations so far: 201 donations, $5385.85". 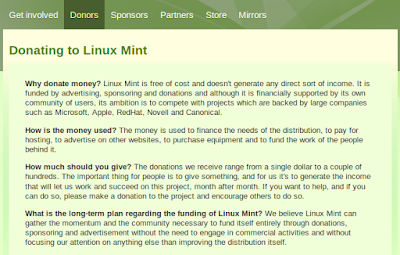 Visit Donors page to donate and see list of people donating, Sponsorship page if you want to give Mint Developers income, and finally see complete ways of contributing on Get Involved page with important links to coding, translations, submitting ideas, and so on.